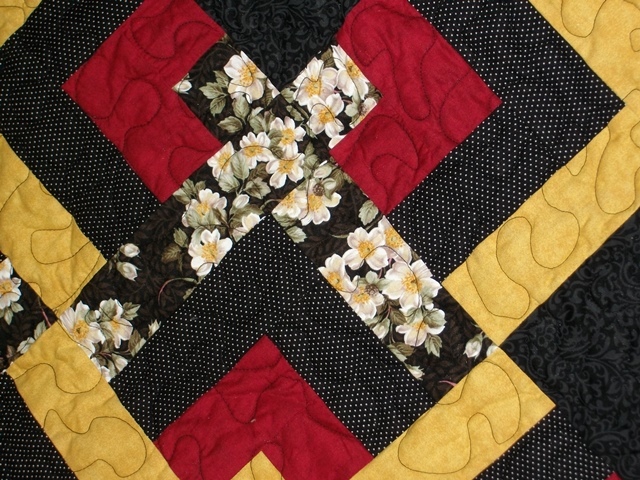 I want to do this quilt by hand (piecing it) and I'd like to know the measurements for each of the pieces of the knot blocks. I bought the book and the only thing I can really ascertain is the strips are 2 and half inches wide. I think I may have figured out the first two pieces but I'm not sure. Any help would appreciated. I only watched first few seconds lost Internet hope it helps. I have the book and have made a quilt. I didn't have a problem making it. I made mine totally by machine. Here is the one I made. Second one is a close up. Last edited by Jingle; 06-11-2013 at 08:01 AM. 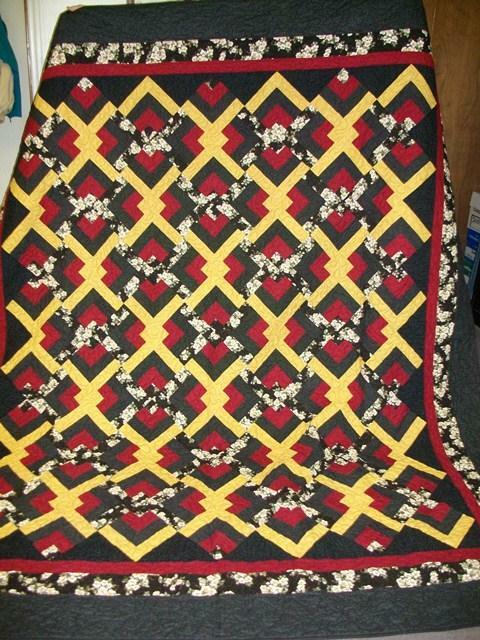 Thanks Dottymo for the tut on this pattern. It is so much easier than I though it would be. I just wanted the sizing for the individual pieces. Like I said I want to piece it by hand.